They said he would never manage to reach this approval rating. But then, when have the pundits been right about President Trump? The Rasmussen Reports daily tracking poll reveals that President Trump now has more Americans approving of his job performance than those that disapprove. This is the president’s highest job approval rating since mid-June of last year. President Obama earned 45% approval on this date in the second year of his presidency. The ‘experts’ over at Politico were pondering just one month ago how low his approval would go. But now that the benefits from the President’s tax plan is being felt by Americans, they like him. one might say he was ‘Presidential’. 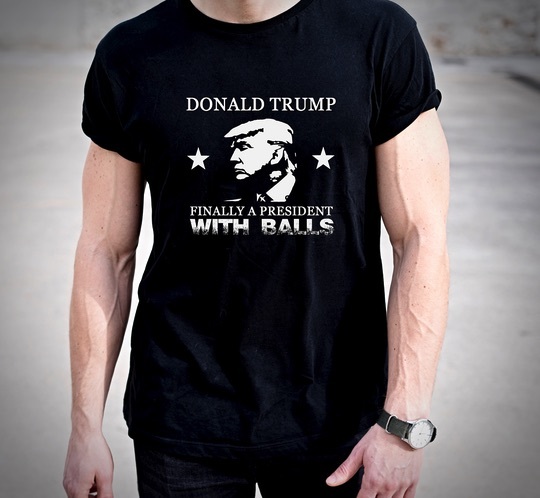 This poll is showing that Americans like the Badass President with balls.